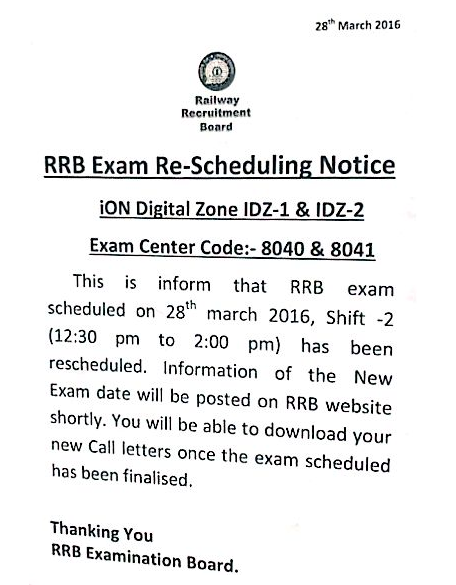 This is to inform that RRB Exam scheduled on 28th March 2016, shift-2 (12:30 PM to 2:00 PM) has been rescheduled. 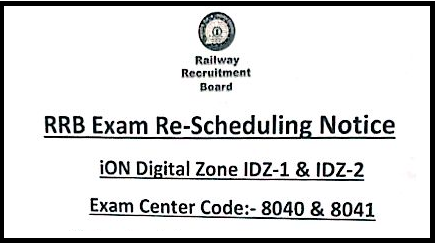 Information of the new exam date will be posted on RRB website shortly. You will be able to download your new call letters once the exam scheduled has been finalised.